Given the focus of this site, it should surprise no one that I love horror; however, I have a greater love that I don’t get to talk about as much here, and that love is poetry. The worlds of horror and poetry sometimes meet, as in the case of Edgar Allan Poe’s sublime verse, or the groundbreaking work of Baudelaire. But so-called “horror poetry” is often gimmicky. In fact, whenever I teach creative writing, I tell my students that they’re forbidden to write any genre literature until they’ve mastered the basics of their craft. For the beginning writer, it’s too easy to use the conventions of genre as a crutch. Chad Helder’s “Pop-Up Book of Death” makes enough references to zombies, disease, and dismemberment to satisfy any fan of the horror genre, but this is real poetry written by someone who knows his craft, and Helder uses the conventions of horror to do what good poems always do, whether or not they make reference to the horror genre. These artfully written poems offer fresh insight to the darker and more absurd aspects of the human condition. Don’t allow children under the age of ten to stare at this page unsupervised. like the echo of a flashbulb. So much is seething just beneath the surface, and we’re playfully invited to “Pull the tab” of this nightmarish pop-up book and let its hidden crocodile nip “the thumb of the reader with a sharp cardboard edge.” And in the next poem, entitled “Origins of Burial,” a “Neanderthal corpse rises from the page” to teach us the “miracle of decomposition.” These are intelligently unsettling poems that suggest our histories and our imaginations are dangerous terrains that can’t be bounded by the printed page. Perhaps the darkest poem in the collection is playfully entitled “Birthday Cake.” It’s about a home invasion in which the intruder transforms into the narrator’s boyhood dog. 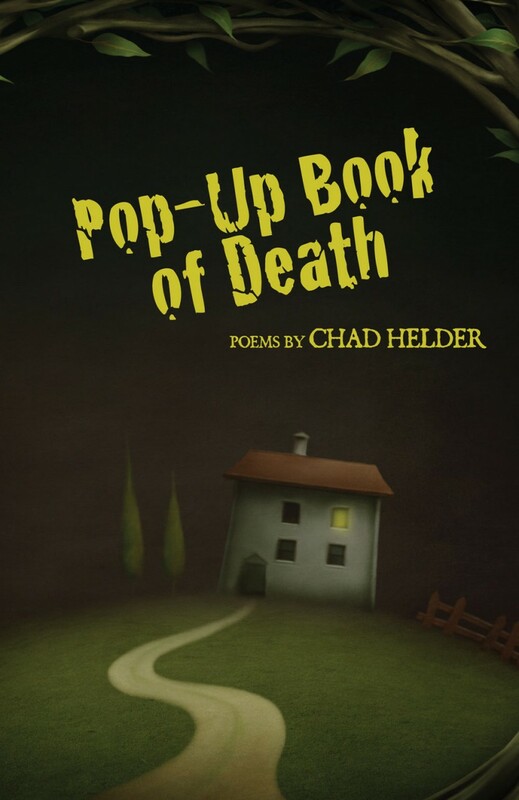 However, to make matters worse, the dog “is old and sick.” When the narrator decides that the gun he planned to use for self defense must now be used in an act of mercy killing, he discovers that “the chamber is clogged with birthday cake.” I love the dark, surreal comedy of this poem. What could be safer and happier than memories of your childhood dog and birthday cake? But memories are unreliable and dangerous. They distort what was once real, and they can’t always be trusted. Even love, our most sacred and foundational of human emotions, is contested terrain in this collection. “The Day We Met” is a love poem, and I find it strangely endearing, even if the narrator proclaims to his lover that on the day they met he “escaped the body bag” and “cut down all the nooses tied to the rafters in the garage.” This isn’t Hallmark greeting card stuff. And thankfully so. These poems insist that real love, like real childhood, is strange and transformative and scary, and not always innocent. I enjoyed this book for many of the same reasons I enjoy a good horror film. I don’t watch a horror film just for cheap thrills and scares, but for the immersion into a strange world that blurs my vision, and challenges me to re-think the world around me a little when I exit the theater. This book does just that.